It feels like decades since The Explorers Club released their stunning debut, Freedom Wind. Truth is, it only came out in 2008, but its timeless sound and remarkable consistency made the wait seem much longer than that. 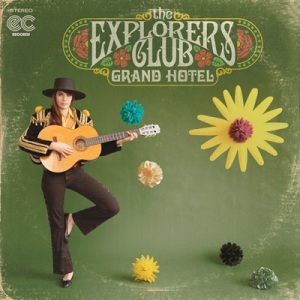 Until last year it looked like The Explorers Club might be a one-and-done group, who like some of their ‘60s and ‘70s influences would release a masterpiece or two before disappearing into thin air. That couldn’t be farther from the truth now. Their follow-up, Grand Hotel, finds the Charleston collective at a peak in terms of energy and stylistic ambition. It’s an incredibly polished effort that’s a throwback to the past in more ways than one. Bands simply don’t make albums like Grand Hotel any more. Freedom Wind was, on many accounts, the best contemporary Beach Boys tribute you’ll find – without those tributes being covers or close replications. The contrast between nasally rockers like “Forever” and delicate West Coast ballads like “Safe Distance” was evident, but there was a relatively strict abidance to the surf-rock and surf-pop formula. The sound never wore thin, but found its most outspoken followers in fans of surf music. The highly accessible nature of the tracks, with gorgeously overlapped vocal harmonies and conventionally structured pop hooks, brought plenty of outside recognition; their songs appeared on The O.C. and How I Met Your Mother. Yet some would argue that their surf tributes were so pure that it isolated a certain contingent of listeners, some of them used to more stylistic variety in pop and others with an odd bias against surf-fixed music in general. Grand Hotel keeps fans of surf-rock (and Freedom Wind) very happy, as well as branching out to a different horde of pop fans. Whether it’s the lush folk-pop on “Bluebird”, Scott Walker-inspired orchestral-pop of “Open the Door”, or the ingenious infusion of southern-rock on “Anticipatin’”, there’s such a great assortment of material here. This stylistic outreach is partly thanks to their striking group chemistry; there is no distinctive frontman, as instruments take turn in the spotlight in addition to lead vocals. Jason Brewer, David Ellis, and Wally Reddington III alternate lead most of the time, with everyone chipping in on harmonies. This variety in performance has bled into their songwriting. When I saw them perform live, the multiple abilities of each member was prevalent. It was evident in their own material, of course, but also on a medley of Beatles covers they did mid-set, where everyone took turns flaunting their ability like an old-timey supergroup. It was one of the better sets I’ve seen in awhile, making it easier to see why Grand Hotel turned out so well. Both “Acapulco” stand-ins are pure tastes of the West Coast, with a side of Hawaiian folk. The first sounds on the album are the crashing of waves, courtesy of opener “Acapulco (Sunrise)”. The chirping of tropical birds follow, along with an arrangement fitted for a ‘70s West Coast leisure activity. You could just see them flying from one palm tree to another on a balmy summer day, or summer night. Then comes “Run Run Run”, the best pop single I’ve heard this year. It’s a contagious effort that should do exceptionally well on the radio, with a chorus that revs up like a vintage engine – though one that still works extraordinarily well. The only effort I feel stands up strong to “Run Run Run” on the single front is “Anticipatin’, which is pure pop genius. Rockabilly and southern-rock collide with suave vocal stylings reminiscent of Glen Campbell’s country twang. 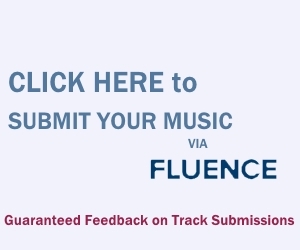 The best bit of the track is Ellis’ falsetto, which provides a sharp contrast to the deep and husky lead. It’s an outstanding effort that, in my opinion, should be their next single. The fleet keys of Paul Runyon provide a solid backbone during this section, as does the entire band’s backing vocals as they lead to a swanky blue-inspired bridge headed by bass and organ. You won’t forget this one easily. Another one of the strongest tracks is closer “Open the Door”, which takes on a cinematic feel due to climatic drums and swelling strings. It’s easy to compare this to The Walker Brothers, with the sort of depth and gorgeously suave hooks that’s easy to expect. This is Explorers Club at their most mature, temporarily pushing aside their knack for accessible pop in favor of atmosphere and raw emotion, which they succeed in just as brilliantly. They prioritize similarly on the less morose “Bluebird”, complete with twangy guitars and lush organs. It appears to start out as a psych-pop ode, but abruptly evolves into a warm folk ballad with quick acoustic trickles and joyous harmonies. It’s not quite Donovan soft, but more in the vein of Hall & Oates’ classic Abandoned Luncheonette – mellow folk-pop but not without the bursts of excitement. Like all albums, some tracks on Grand Hotel are stronger than others; the repetitive but still fun “Any Little Way” and “I’ve Been Waiting” rank among the weaker ones. But everything remains a recommended listen nonetheless. This especially includes simple yet resoundingly effective pop songs featuring acoustics and keys, like “Sweet Delights” and “Weight of the World”. Don’t forget the enjoyably indulgent self-titled cut either. It borrows the Latin vibes from the album cover, veering into mariachi-like horns over clamoring percussion. The actual melody is more reminiscent of classic Brit-pop, not too far from Blur or Dogs Die In Hot Cars. While Grand Hotel is more of vast adventure than Freedom Wind, that’s not to say Explorers Club abandoned some of their classic debut’s sounds. Ballad “It’s You” is a gorgeous display of what they did more of on Freedom Wind: delicate yet soulful surf-pop anthems. Its brothers would be “Don’t Forget the Sun” and “If You Go”, two cuts from the debut that continue to stun me every listen. Some tracks that nod to Burt Bacharach, like “Go for You” and “Open the Door” to some extent, achieve a similar status. Nothing captures his essence more than the verses in “Go for You”, where the vocals have the suaveness and gradual vocal build-up. This progression evolves into a more original Explorers Club fusion of surf and classic pop. You half-expect it to kick back to “Run Run Run” during the mid-bridge. In terms of mixing emotional ballads with exciting pop hits, there hasn’t been a better album this year than Grand Hotel. Four years later, The Explorers Club have matched their criminally overlooked debut Freedom Wind, a feat impressive to longtime fans as well as the new ones Grand Hotel is bound to earn. Download it now for an amazingly cheap $5 on Amazon. Just discovered Explorers Club and really like their creative, childlike and yet sophisticated vibe. Beautifully written review – really clarifies the derivations of the songs. Sounds a lot like the bands that would end up playing Burt Bacharach’s compositions for hire, or a lot of the forgotten bands on those Lost Jukebox compilations. I LOVE these guys, they remind me a bit of Dr. Dog in that they revere the past but are also putting out good tunes in their own right. Beautiful music with a great voice & lyrics!! !